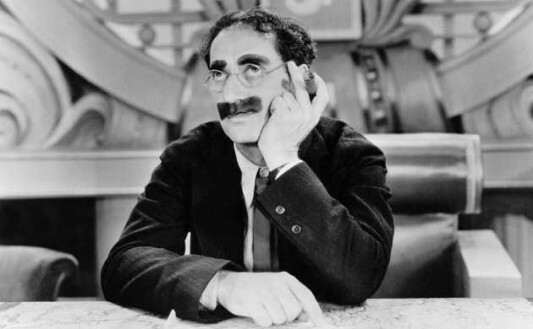 The great, irrepressible, unforgettable, and wonderfully unique witmaster comedian of possibly all time, one Groucho Marx, died 35 years ago today. 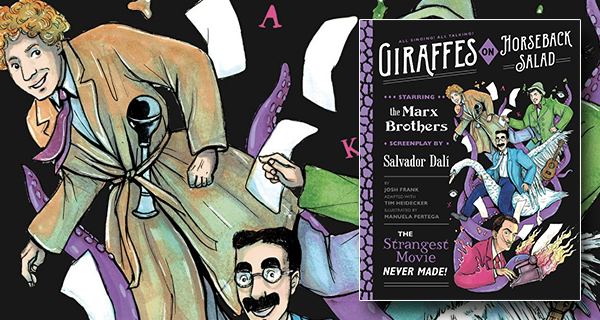 With his brothers, Groucho made up one of filmdom’s all-time great movie comedy squads. During the early first half of the 20th century, they blazed across the screens with an unbashed reckless radicalism, one part slapstick, one part dazzling wit, one part funny memorable set pieces, and all parts absolutely hysterical. While his brother Chico made up the lothario slick oil salesman, with his gift of musical gab via the piano and his way with his sneakiness by way of an Italian accent with the lid not on too tight, and his other brother Harpo, made up the character of the mute rubber limbed, gymnastically comedic genius, who spoke comedic volumes by NOT speaking, it was still Groucho’s amazing knack for rattling off some of the most memorable barbs, rhubarbs, silver-tongued comebacks and observations, only equaled arguably by another great comedian of all-time, Jack Benny.